The Mega Man series isn’t something you’d consider fondly remembered by the PC community, considering all of its top hits were released on console and, for whatever reason, the PC got odd DOS releases of Mega Man 1 and 3 (that’s right, no 2) that weren’t even remakes but original games only memorable because some of their graphics were ripped-off and used in the very first Duke Nukem. However! The Mega Man games are great, challenging, classic platformers, and the PC is finally geting the first six games in the series in the form of a digital release later this month. Developed by the re-born Digital Eclipse studio who are now dedicated to video game “preservation and restoration”, Mega Man Legacy Collection uses the Eclipse Engine (a fancy word for a cross-platform emulator) that includes impressive filters to approximate TV and scanline monitors (to see the games as they would originally have looked in the 80s) and a large collection of production art, sketches and ’80s-’90s flyers for the games, all sourced by Digital Eclipse’s Head of Restoration Frank Cifaldi. The collection will also include a challenge mode with online leaderboards and video replays. 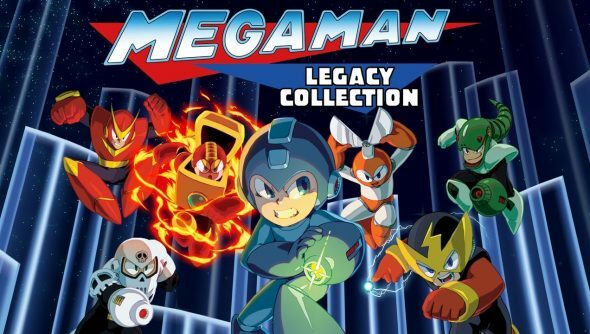 Mega Man Legacy Collection hits August 25 for $14.99/£11.99.